An April 25 high-court exoneration of Igor Bitkov, his wife, Irina, and their daughter Anastasia was hailed by Rubio, Smith, and other western advocates as a vindication of their persecution of at the hands of a United Nations agency—the Commission Against Impunity in Guatemala (CICIG)—that is funded by the United States. However, the same court located in Guatemala City prosecuted Igor Bitkov again on related charges, with a verdict expected Friday. CICIG and the prosecutors have recommended that Igor Bitkov serve another 14 years in jail followed by expulsion to Russia. Rubio and Smith, both champions of human rights around the world, have taken a special interest in the Bitkov case, deeming the family's imprisonment in Guatemala as "highly unjust." The pair of lawmakers worked to suspend U.S. government funding of CICIG over the issues; that funding was restored in September after the April exoneration. Now the same lawmakers are warning the Guatemalan judge presiding over the case that they will use every resource available if Bitkov is sentenced for his alleged immigration crimes. "This case exemplifies Russia's interference in international organizations and internal Guatemalan affairs," Rubio and Smith said Thursday in a statement. After the Bitkov family was released from prison and apparently vindicated earlier this year, "it is now alarming to learn that CICIG and the Guatemalan prosecutors are now re-trying Igor Bitkov on the same questionable charges." If the judge rules against Igor Bitkov, "we will look at all available tools to rectify such a grave injustice," Rubio and Smith said. Rubio placed a hold on U.S. funds to CICIG in May, and Smith in July requested a State Department inspector-general investigation into the matter. Rubio has accused the agency of being manipulated by "radical elements and Russia's campaign against the Bitkov family in Guatemala." The CICIG is a United Nations agency created to fight corruption in Guatemala. Rubio and Smith say there is plenty of evidence of Russian meddling in the agency's activities and Moscow's undue influence on Ivan Velasquez, its top official. 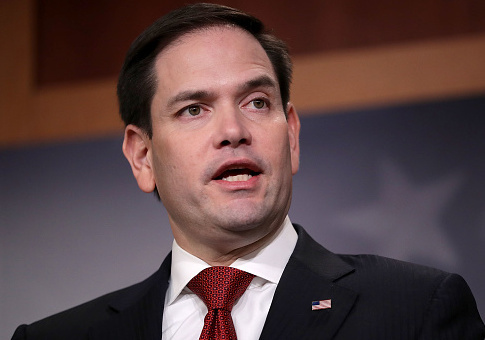 Rubio chairs the Senate Foreign Relations subcommittee on Western Hemisphere, Transnational Crime, Democracy, Human Rights and Global Women's Issues. Smith chairs the House Foreign Affairs subcommittee on Global Human Rights and International Organizations. Even though the commission was put in place to fight corruption, Smith and other U.S. lawmakers, including Rubio, have accused the agency of playing an improper role in the prosecution of the Bitkov family. The Bitkovs fled Russia in 2008 following a series of events that began in 2005, when Igor Bitkov said he refused to let a senior official at one of Russia's state banks buy more than half of his North-West Timber Company. His daughter was kidnapped in 2006, and was reportedly raped repeatedly, with the family paying $200,000 to ransom her. Igor Bitkov contends that in 2008 the banks demanded full repayment of their loan to Bitkov's company despite the company's good credit. The company was forced into bankruptcy, its assets were sold at fire-sale prices, and the Bitkovs fled Russia fearing for their lives. After fleeing Russia, the Bitkovs took up new identities in Guatemala and were eventually indicted and prosecuted for passport fraud. CICIG helped prosecute the family in Guatemala, even though it is not a crime in that country for refugees fleeing persecution to change their identities on official documents. A court ruled against the family and sentenced each of them to more than 14 years in prison. William Browder, who was expelled from Russia in 2005 after Russian authorities seized his companies, has taken up the Bitkovs' cause, testifying to Congress about the case in late April. Browder, a U.S.-born financier, has led an international campaign against the Kremlin in memory of his Russian lawyer Sergei Magnitsky, who was murdered in 2009 after accusing Russian officials of massive tax fraud. His work led to Congress's enactment of the Magnitsky laws, which first targeted Russian human rights abuses and have since expanded to sanction other countries, such as Venezuela and Nicaragua, who are engaging in large-scale human-rights violations. Browder in April told Congress that Russian people who run successful businesses are routinely victimized through a process called "Raiderstvo." "I was a victim of Raiderstvo and so were the Bitkovs," he said. "It is standard practice in Russia where organized criminals work together with corrupt government officials to extract property and money from their victims." This entry was posted in Politics and tagged Chris Smith, Marco Rubio. Bookmark the permalink.